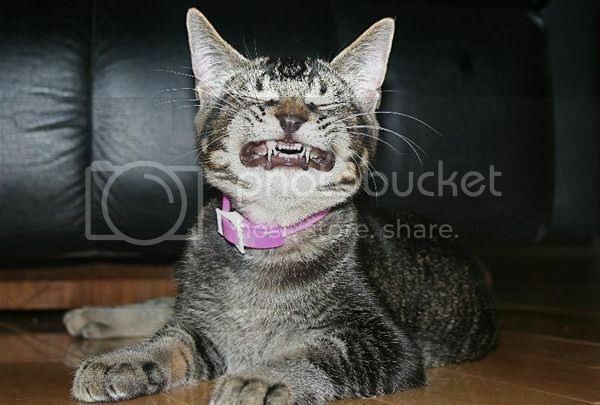 The Pet Blog: I'm smiling, I'm smiling, hurry and take the photo, will ya? I'm smiling, I'm smiling, hurry and take the photo, will ya? Thats a cute smile, lol, was the cat waiting for his morning teeth cleanse?